Want to see a cool video how a pet can be trained with a Super Feeder" click on this YouTube video from a past customer (system designed by customer). Cat Feeder Photo Gallery: Your cat wakes you up in the morning to be fed? Pick the package that best fits your budget and your application! Don't spend extra money for something you don't really need. Simply click on the package you want to purchase, which will take you to our online store. Once there, you may also choose other accessories or feeders. 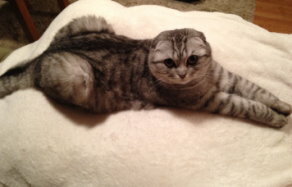 If you have any question, please e-mail at info@super-feed.com . 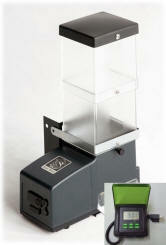 Our feeders come in many different packages to fit your needs, indoors or outdoors. 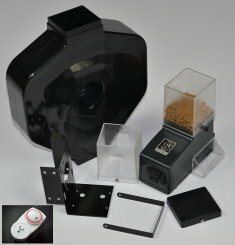 If you purchase a "basic" feeder package, you will need to use your own external timer like a common lamp timer or purchase one from us to trigger your feeder. 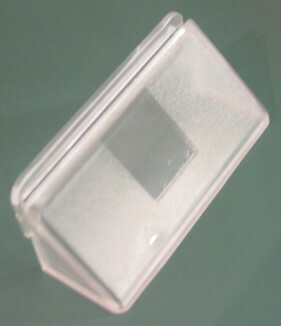 Depending on combo, you may also need to mount it to your own custom mount. For very best portion accuracy if extremely important to you, we recommend small 1/4” spherical/square/barrel shaped kibbles. 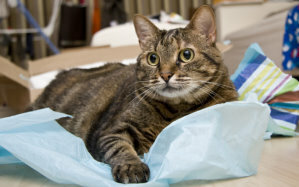 Other cat dry or slightly moist food kibbles will of course work just fine, but with more variance in portion accuracy depending on shape mainly because they do not stack together in the machine as well as little spherical ones would. That would apply to any feeder. We do not recommend any kibbles larger than 5/8" diameter. CSF-3XL with stand/platform mount (3rd left to right), a 1.5 gallon (24 cups) black hopper and bowl only--you will need your own timer to trigger it. CSF-3 with stand/platform mount and bowl only (4th left to right), you will need your own timer or home automation system to trigger it. Combo #17 CSF-3 with analog timer (timer may vary) for up to at least 24 daily feed cycles--make your own mount/bowl and save. Basic cat feeders or combos shown without a black stand and Kibisan® dishwasher-safe bowl will need to be mounted to a wood mount or other means of your own along with your own bowl (not for free-standing). Combo #17A Indoor CSF-3 (4 3/4 cup size) comes complete with stand, Kibisan® dishwasher-safe black bowl and analog timer for a minimum of at least 48 daily feed cycles. Combo #17D Indoor CSF-3 (4 3/4 cup size) comes complete with stand, Kibisan® dishwasher-safe black bowl and ACDT-20 7-day digital programmable timer for up to 8 daily cycles. 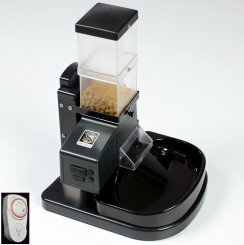 Combo #18 Indoor CSF-3XL complete with stand, ACDT-20 Super Feeder® 7-Day digital timer for up to 8 daily cycles any day, group or all days of the week, a 1.5 gallon (24 cups) black hopper, plus a Kibisan® dishwasher-safe black bowl. Combo #18A Indoor CSF-3XL with stand, a 1.5 gallon (24 cups) black hopper, a Kibisan® dishwasher-safe black bowl and analog timer for a minimum of at least 48 daily feed cycles. 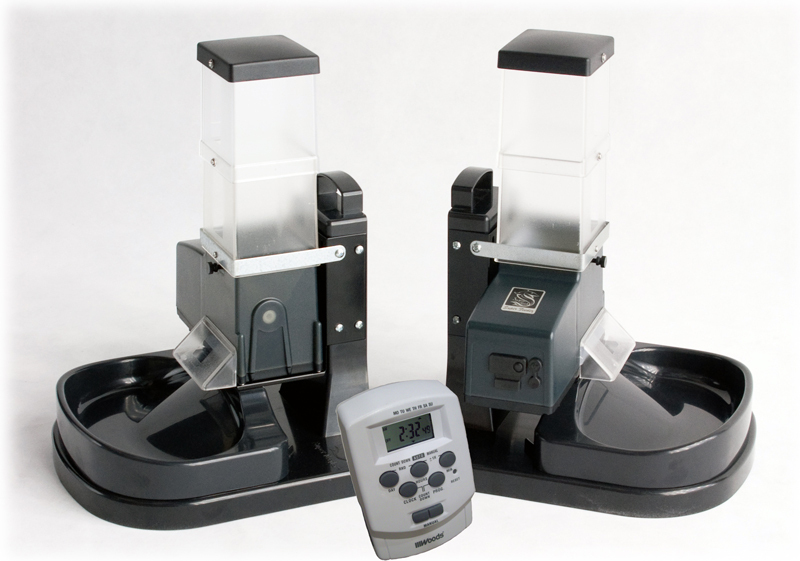 Combo #25 includes two deal 18's at greater savings--Indoor CSF-3XL's come with two sturdy black ABS stands, two 1.5 gallons hoppers, two ACDT-20 7-day Super Feeder® digital timers (with seconds for close synchronization) for up to 8 daily cycles any day, group or all days of the week, two Kibisan® dishwasher-safe black bowls, and two installed chute covers as shown to keep your "locksmith" pet's paws out of that chute. Basic cat feeders or combos shown without a black stand and Kibisan® dishwasher-safe bowl will need to be mounted to a wood mount or other means of your own. 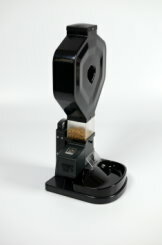 All cat feeders can be mounted to a piece of 2x4 or similar lumber with supplied hardware. Digital timers retain time and programs when power is out or unplugged. 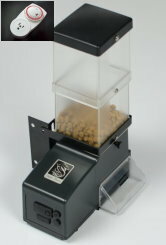 Combo #20 CSF-3XL with ACDT-20 7-Day Super Feeder® indoor digital timer for up to 8 daily feed cycles any day, group or all days of the week, and a 1.5 gallon (24 cups) black hopper. You will need something to mount it to like a piece of 2x4 on a wall because it does not come with a platform/mount. combo #21 CSF-3XL with a 1.5 gallon (24 cups) black hopper and indoor analog timer (TIMER STYLE MAY VARY) for a minimum of at least 24 daily feed cycles. You will need something to mount it to like a piece of 2x4 on a wall because it does not come with a platform/mount. Basic cat feeders or combos shown without a black stand and Kibisan® dishwasher-safe bowl will need to be mounted to a wood mount or other means of your own. 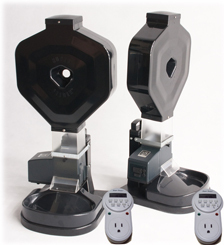 Combo #24 (far right) This indoor "Double CSF-3" combo comes with a dual-outlet ACDT-31 Woods® 7-Day digital timer to trigger both feeders simultaneously, 2 mounting stands and two special Kibisan® dishwasher-safe black bowls. 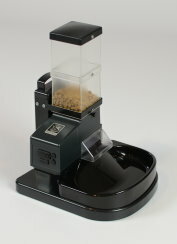 Each feeder holds 4 3/4 cups of food and can be expended later with extra 2-cup extensions or the 1.5 gallon hopper. Both feeders come with the optional chute cover installed for added protection against that "locksmith" cat. Each feeder includes all hardware needed and can be all assembled in minutes with just a small and medium tip Phillips screwdriver. Place them apart from each other , or back-to-back as shown. Train each cat to eat at his/her own feeder! Great for that naughty cat who likes to steal the other's food at feed time. 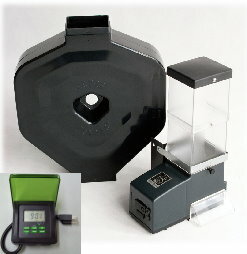 Cheaper than purchasing two individual feeders with a digital timer. Digital timers keep time and programs for several months when disconnected from a power outlet. You can also use another timer to operate both of them independently. Combo #22 CSF-3 QUART & 3/4-CUP cat Super Feeder® with installed chute cover, outdoor approved power adapter with 6' cord and plug to reach timer and outlet, 7-Day outdoor approved digital timer for up to a minimum of 8 daily feed cycles per day and 50 feet of wire to reach your feeder from the outlet. 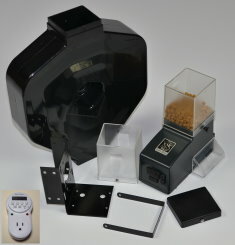 Combo #23 CSF-3XL for up to 1.8 gallon cat Super Feeder® with installed chute cover, Super Feeder dedicated outdoor approved power adapter with 6' cord and plug to reach timer and outlet and 7-Day outdoor approved digital timer for up to 20 feed cycles per day with large easy to read display! 50 feet of wire to reach your feeder from the outlet is included. 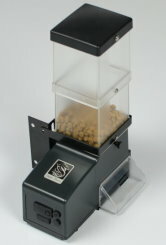 Combo #23A CSF-3XL for up to 1.8 gallon cat Super Feeder® with installed chute cover, outdoor approved power adapter with 6' cord and plug to reach timer and outlet, 24-hr outdoor approved analog timer (style may vary from one shown) for up to 48 feed cycles per day and 50 feet of wire to reach your feeder from the power adapter. 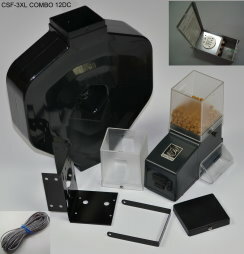 CSF-3XL-12DC Super Feeder® with installed chute cover, outdoor approved 12VDC timer for up to 8 daily feed cycles, a 120V-12V power supply with 6' cord to pre-adjust your feeder before mounting and 50 feet of wire to reach your feeder from the timer box (you must provide your own 12V battery--any type will work). 12" wide x 3" deep x 21 1/2" tall. It will hold about 5-6 lb. of food (28 cups by volume). All you will need is something like a 2x4, 4x4 or pipe to mount it to. Basic cat feeders or combos shown without a black stand and Kibisan® dishwasher-safe bowl will need to be mounted to a wood mount or other means of your own. ...For outdoor use, if you have raccoons in particular, we recommend that you enclose the feeder in a wooden box or at least use a chute protective guttering system as shown by many examples on our website. Digital timers keep time and programs when power is out or unplugged. Feeder will not feed during the actual power outage, but will resume normal operation when power resumes with no feed programs lost and no action required at the feeder. NOTE: OUTDOOR TIMER STYLE MAY VARY BUT WILL PROVIDE FOR AT LEAST 8 DAILY FEED CYCLES. Want to help prevent your "Locksmith Cat" from getting into the feeder? All CSF-3 and CSF-3XL feeders now include a new housing and chute cover installed. The chute covers shown below are ONLY for earlier model feeders that did not have one installed or for replacement. 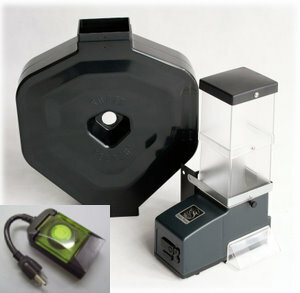 Make sure you choose the correct one for your feeder by measuring your feeder's outlet as requested on the online store. Protective chute cover for "early" CSF-3 CAT Super Feeder housing at left, and for outdoor Koi Pond KSF-2 at right. 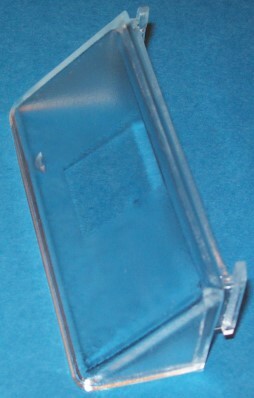 The early model cat feeder chute cover has been modified slightly to allow passage of most cat food kibbles in early model feeders with smaller chute opening. Not recommended with kibbles larger than 1/4" thick by 3/8" long, although it may work fine with other sizes and shapes by testing first. 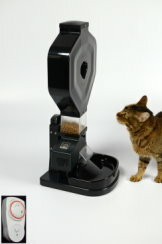 Perfect with 1/4" spherical/square type kibbles like offered by the Science Diet brand. NOTE! CHUTE COVER WILL NOT IN ITSELF PROTECT CHUTE FROM INTRUSION BY RACCOONS OR OTHER LARGE ANIMALS WITHOUT EXTERNAL PROTECTION OF SOME TYPE BECAUSE OF THEIR STRONG PAWS AND JAWS THAT COULD BREAK IT OFF. ADEQUATE PROTECTION OF CHUTE AREA IS REQUIRED FOR OUTDOOR USE.